If you follow me on twitter, you may have seen me tweeting about my first every Etsy purchase. This was from House of The Fickle Queen, who create individual jewellery pieces for, well quite frankly, practically pennies! They make great gifts for that hard to buy for friend, or just something individual for yourself! I have become more than a little bit obsessed with their bobby pins, as having short hair I struggle to pretty it up sometimes, and these are perfect. The icing on House of Fickle Queen's cake is the effort they put into packaging their products, and their little loyalty scheme! Emily - One half of Fickle Queen team, agreed to do a little interview and give Bows Bangles and Bakes readers a little treat! Hi Emily, thanks for chatting to me today, so tell us a little bit about who is behind fickle queen and where you're based? "House of the Fickle Queen is the brainchild of me (Farquharson) and my good friend Chloe (Firth). 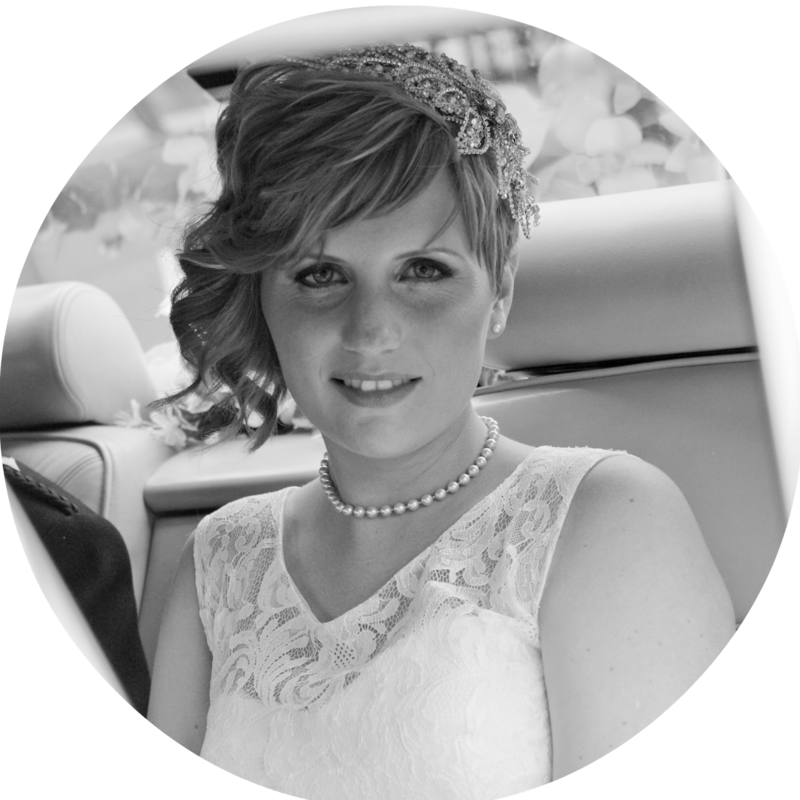 We started in summer 2011 and are based near Leeds, West Yorkshire." 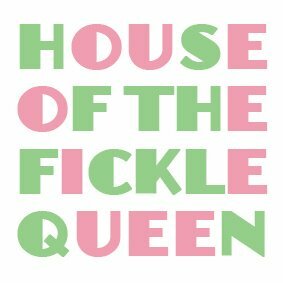 What would you say is the motto/mantra of House of Fickle Queen? "We don't have a motto as such, but our core ethos is to make items that are quirky, whimsical and vibrant that you won't have seen before. We Fickle Queens do love a bargain too, so we want our jewellery to be unusual but affordable! Also, if we go by the rule:if we wouldn't wear it ourselves we shouldn't make it (unless it is a custom piece)." "It's a cliche, but everywhere! Pop culture plays a big role in influencing us, as it is the umbrella for literature, books, films, TV, cultural icons, music, gaming etc. We try to encompass an eclectic mix of design styles from art nouveau to 1950s tea parties to 80s hair metal to Japanese street style and everything in between into our work as well." If you were buying something from your own store, what would you choose and why? "Hmmmm, this is a difficult one but right now I am appreciating the 'Batman Double Layer Laser Cut Pendant' and our 'Fear and Loathing in Las Vegas Book Earrings'. Firth has informed me that she would choose either the 'White Rabbit in Wonderland Illustrated Vial Long Necklace' or the 'Grease is the Word Double Layer Laser Cut Necklace'. We end up making duplicates of A LOT of our pieces to keep for ourselves!" Do you run Fickle Queen as a full time business, or as a hobby? "It's a hobby really, we started because we were both sick of over paying for boring jewellery. So we went on ebay, got ourselves a couple of pairs of pliers, some jump rings, chain and charms and House of the Fickle Queen was born. From there we have just used trial and error to find winning combinations and so far we have had more successes than fails! It has surprised us both how well received our wares are and we are grateful to everyone who has purchased HotFQ wares in the last 8 months!" "I looooooove to bake and make confections! My dream is to one day open my own tea shop/bakery/ice-cream parlour. Many a tasty treat has left my kitchen, my signature items being the 10 minute cookies, bakewell tarts, raspberry rainbow buns and strawberry and vanilla marshmallows." And to top it of House of Fickle Queen are offering followers of Bows Bangles and Bakes an exclusive 25% discount code to use in their online Etsy store - as if their products weren't cheap enough now you really have no excuse not to have a little purchase!